Gone are the days of heavy photo albums collecting dust! 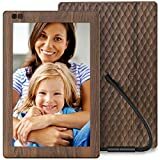 Digital photo frames have taken the world by storm and whether you looking for a mothers day gift, a way to display family photos, or want a little piece of home in your office, the perfect photo frame is out there for you. We know that choosing the right one can seem trickier than getting your kids posed for your family Christmas portrait, but we have you covered. 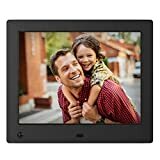 Below is a full digital photo frame buying guide, including everything you need to know to make the right choice for the right price! 4:3: Aspect Digital Photo Frames: Most digital point and shoot cameras use a 4:3 aspect ratio. 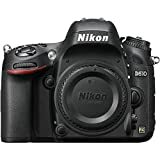 Therefore 4:3 digital frames would be an ideal choice for people shooting pics with cameras of that ratio to ensure you are getting the best resolution picture display. 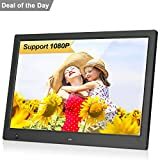 16:9 Aspect Digital Photo Frames: 16:9 is the same ratio used by panel TVs and video cameras, and is ideal for people wanting to to play widescreen family videos. Screen: Digital photo frames that offer clear, bright screens are rated well by their owners. As the most important reviewing factor, it is more often than not the deciding point between a great review and a low review. Storage: When it comes to storage options, reviewers rate units with memory card slots more favorably than the more expensive units with internal storage. Owners state that memory card storage makes it easier to use for the not-so-tech-minded and comes at a much better price. Devices with both storage options are the king of the reviews, however. Operation: Most consumers are satisfied by opting for a digital photo frame that offers less bells and whistles if it is easy to operate and load. Frames that are easy to set up are real crowd pleasers, so to ensure your new frame is equally easy, opt for best rated brand that are reviewed well for ease of set-up. Where is your new digital photo frame going to go? For a bedside table or a busy office, you may want something smaller, while for the living room, a bigger frame might be more impressive. There are a wide variety of sizes from 7 to 12 inches, offering a flexibility of choices on what will fit best. 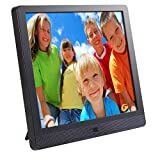 Choose a digital picture frame that has a resolution of at least 800 x 600 for good picture viewing quality. Digital photo frames are designed to be displayed and their appearance should suit your personal style. Frames can be wood, steel, plastic or glass, and come in a variety of styles to fit any taste or decor choice. A frame that includes built-in storage will allow you to copy pictures onto the device directly for you to view without needing an extra memory card. These frames should include a handy USB port to enable you to transfer pictures directly from other devices. What type of home computer do you have? 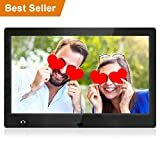 Make sure your new digital photo frame is compatible with your personal computer's operating system to avoid disappointment. 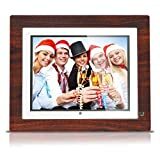 Digital Photo frames can either have an LCD or more recently an OLED display. LCDs offer great quality viewing for a great price while OLED screens have better viewing angles and more colors. Screens also differ in their finish, and are either matte, which works great in well lit rooms and cleans easy if kids get their fingerprints on it, or glossy, which offers crisper images when out of direct light. 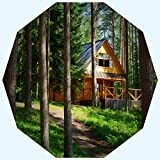 The brightness of a digital photo frame screen is measured in cd/m2 (candelas per square meter) and 300 cd/m2 is considered the optimum brightness. 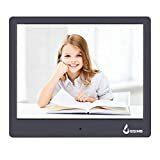 Some added extras worth considering include a remote control to easily change pictures from a distance, slideshow options, enabled sound for music, narration for video viewing, Wi-Fi connections, clock and calendar, quote display, and auto rotation. An iPod dock or Wi-Fi streaming radio will give you two gadgets in one, saving you valuable desk space. Pix-Star: Pix-Star was founded in 1996 and was the first company to make a Wi-Fi connected digital photo frame with email capabilities. Aluratek: Launching in 2006 and offering quality digital photo frames, Aluratek has grown into a leading digital photo accessory brand. 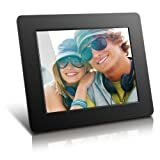 Nixplay: Since 2007 when Creedon Technologies was founded, their NIX and Nixplay brands have offered innovative quality digital photo frames to consumers.